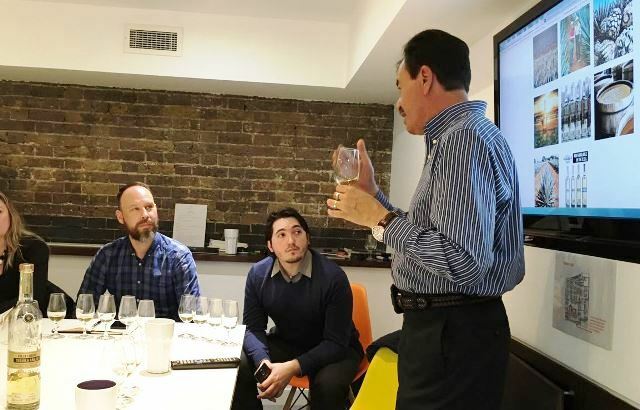 On the 14th of March, Carlos Camarena spent the entire day meeting the Villa Lobos UK distribution team from Instil Drinks (& Bibendum Wine) as well as a number of trade members and a few lucky fans. 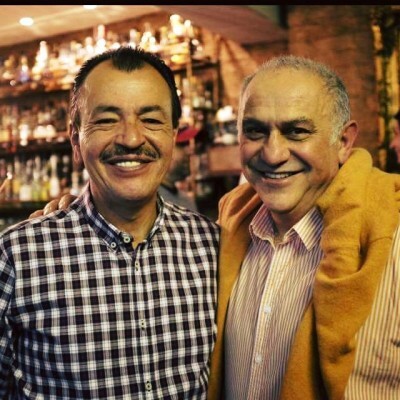 Carlos is the Master distiller and and joint brand owner of Tequila Villa Lobos together with Dale Sklar, Founder and MD of Wine and Spirit International Ltd.
Carlos and Dale’s friendship goes a long way back, to around the time when a customer of Dale’s asked him to source a shipment of El Tesoro tequila for the UK. 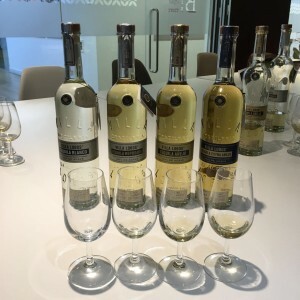 Dale soon got in touch with Don Felipe Camarena and arranged to go and visit him and his famous distillery in the Arandas highlands near Jalisco; little did Dale know he was about to meet one of the greatest Tequila Families. 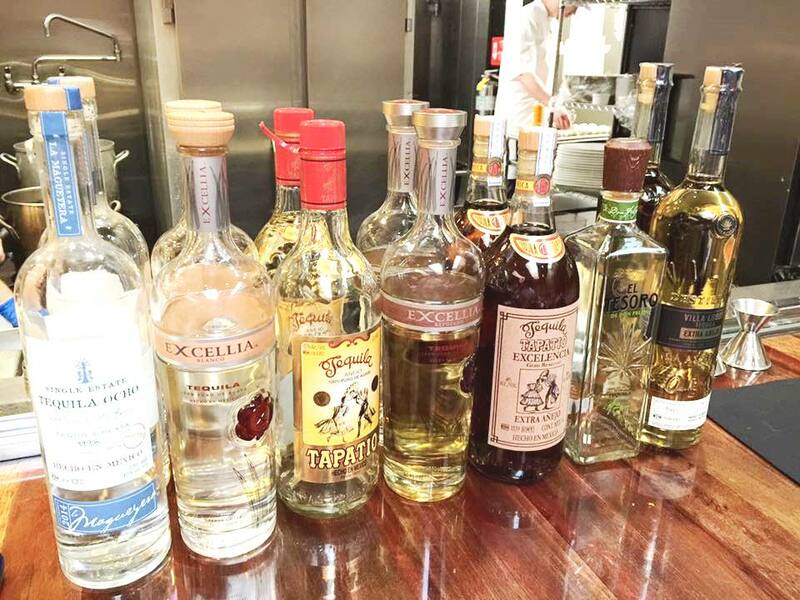 “Although we didn’t know it back then, it turned out to be where the seeds were sown” that were to become Villa Lobos Tequila ,says Sklar. 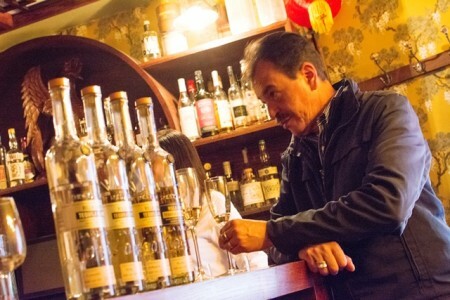 Carlos (Don Felipe’s son) would create the most romantic, softest and smoothest tequila possible and Dale named it Villa Lobos. Since the release of the brand on to the world stage, both Sklar and Camarena have slowly worked on building the brand in key markets such as the US, UK, Germany and a number of other markets in Europe and the Middle East. 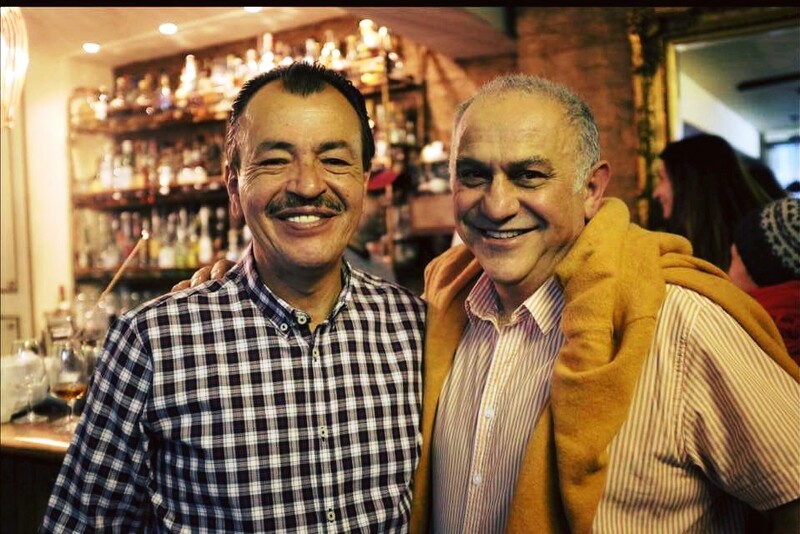 Last month, Carlos visited London to promote his all brands, including Tapatio, Ocho and Villa Lobos Tequila. 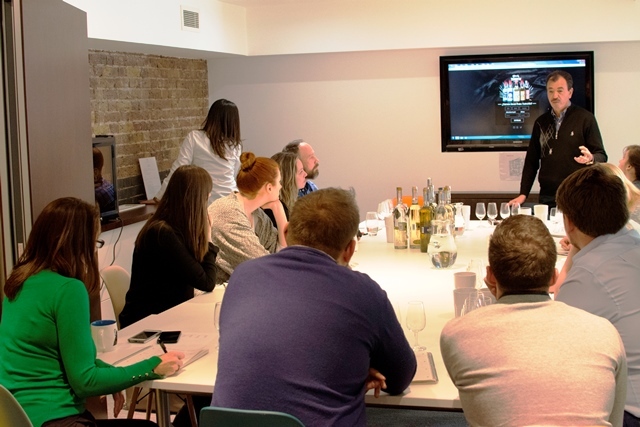 The day started with an internal workshop and masterclass at the Bibendum London headquarters in Primrose Hill given to the team at Instil Drinks, the sister company and the spirits arms of Bibendum Wine UK. Carlos talked about how Villa Lobos was made, what made it so special and smooth; followed by tastings and a discussion about the 4 expressions. 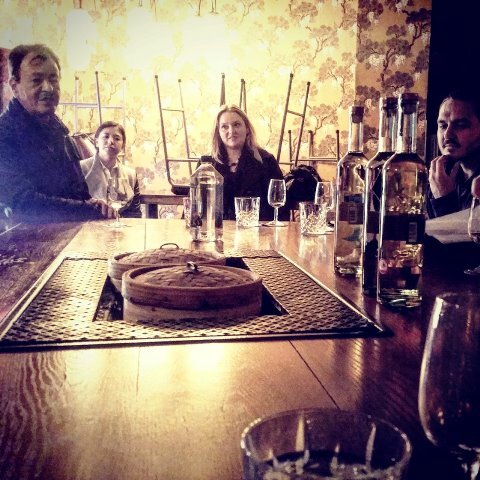 Later in the day Carlos, accompanied by 2 of his lovely daughters, (Fany and Marifer) as well as Willem Hunter & Michele Tuveri from Instil Drinks, and Karine Vignelles , Director from Wine and Spirit International Ltd visited the Opium Dim Sum Parlour cocktail bar nestled deep in the heart of London’s Chinatown. 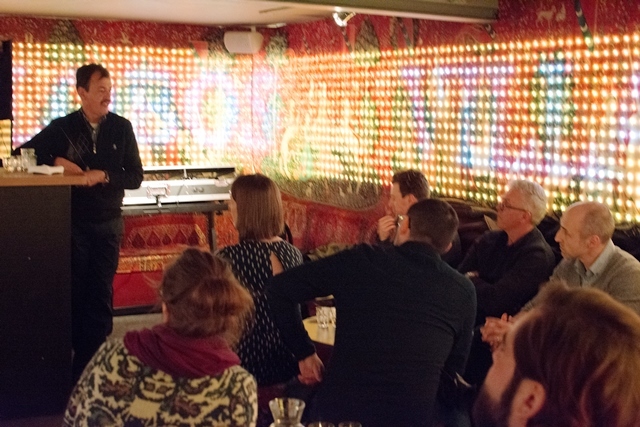 A number of high-profile trade persons attended the masterclass including Damian Williams from Group OPS , James Drummond- Caroline Hoskins, Des Yatigammana from 68 & Bolton and a number of top mixologists from London’s thriving bar scene. 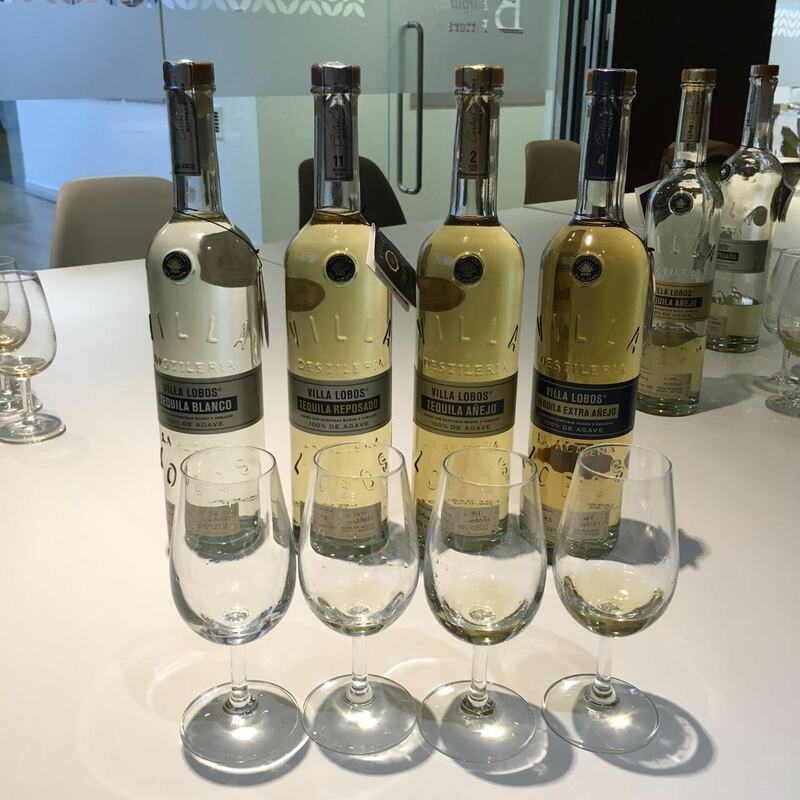 Tequila and Dim Sum…Turns out its an Interesting mix! A question that is often asked is how can Carlos create a number of brands that are so different from each other? Carlos usually takes this question as an opportunity to talk about each of his brands, how each one is made in a completely different process, some using 100% tahona crushed-agave such as El Tesoro, some only using 30% of Tahona crushed-agave such as tapatio, some being single estate Agave , some being aged in steel and oak for different periods of time. Furthermore, Each brand has a different distillation process, which results in such different spirits, albeit all from the same distillery. Inevitably someone always asks which is your favourite and Carlos diplomatically says, they are all his children, and he loves them all, but admits, that sometimes one may please more than another, depending on his mood, and ‘the child’ ! After a fantastic day Carlos and the team continued to do a 3rd masterclass at Bourne & Hollingsworth in East London followed by a Villa lobos tasting and dinner with a number of top industry people including buyers from Harrods, House of Fraser, Harvey Nichols, Selfridges , Hedonism Wines and Spirits, Jo DraperPolo Bar’s account Manager and a number of chosen members from the Wine and Spirit Press. 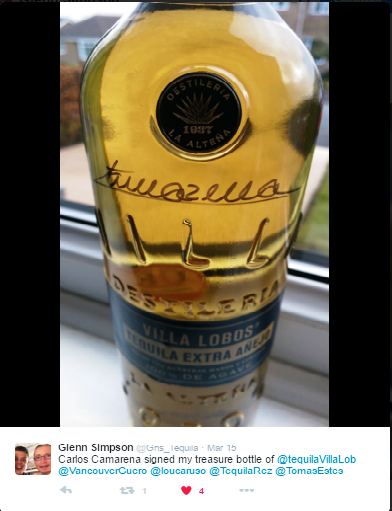 Satisfying an ‘earnest desire’, Villa Lobos’ number one UK fan and Tequila enthusiast, Glenn Simpson @Gns_Tequila got the chance to meet Carlos, learn first-hand about Villa Lobos and the other Camarena brands and walk away with his personal bottle of Villa Lobos Extra Anejo signed by Maestro Carlos Camarena. 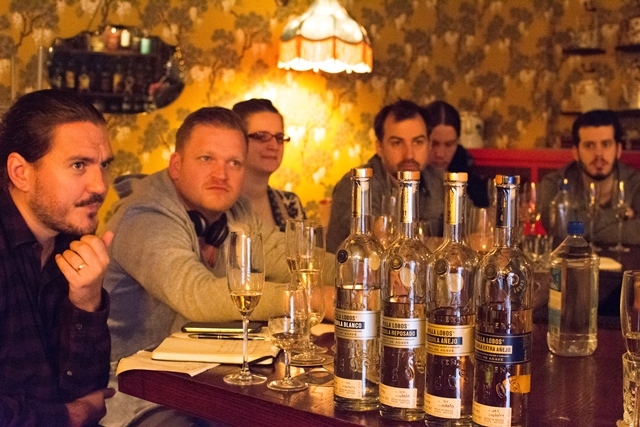 The feedback from the participants was fantastic, and Carlos was very happy to be able to meet so many enthusiastic British trade members and fans.We leave you with a rhetorical question that this time Carlos’ posed to his audience at the end of the night – ” What’s the BEST tequila in the world?” His answer: “The one you like best“. Team Villa Lobos thanks everyone that contributed to making this day wonderful. Salud!